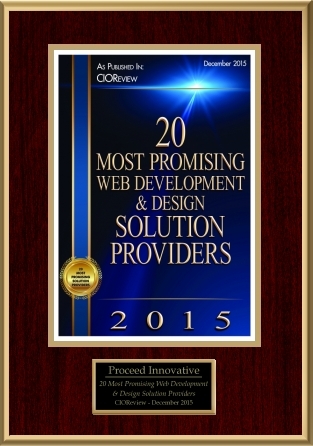 CIOReview Magazine has recently released their list of the 20 Most Promising Web Development and Design Solution Providers in 2015 in their December 17, 2015 issue and Proceed Innovative is among the companies listed. 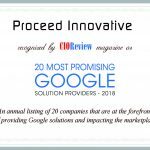 Each year CIOReview releases this list to help bring recognition to internet marketing companies throughout the U.S. that can meet the growing demands of the digital market with up to date web development and design services. Our Managing Partner Jasmine Panayotov is also featured in this issue of CIOReview as she discusses Proceed Innovative’s web design services as well as our lead generation services through RestorationMasterFinder.com. Proceed Innovative provides web development services that stress the importance of building websites that are easy to use, search engine friendly, and mobile friendly to help drive more traffic to the website which will ultimately increase its ROI. As Jasmine explains in the article, we begin our web development services by identifying the elements of the current website that are not performing well and replacing them. We follow this up with a complete competitive evaluation of the website to find ways to help improve its rank in Google. 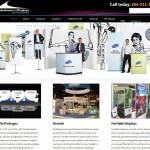 You can learn more about our web development services by contacting us or visiting the page on our website. In addition to our web development services, Jasmine also discusses our lead generation services through RestorationMasterFinder.com. 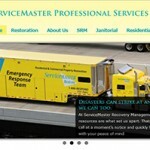 RestorationMasterFinder.com, or RMF, is a cost effective lead generation site built by Proceed Innovative for professionals in the cleaning and restoration industry. Jasmine explains that “With Pay per Click trending up, our RMF solution offers an alternative online marketing strategy for cost effective lead generation.” The other benefits of the RMF program that she highlights include a “300 percent hike in ROI, and measurement of results through phone calls and forms.” Visit RestorationMasterFinder.com to learn more about how this program can increase your conversion rate through effective lead generation. 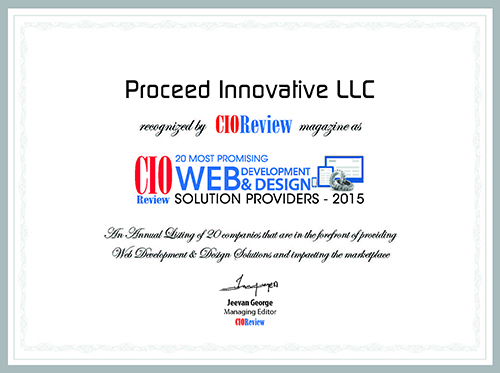 Check out pages 15 and 36 of the December 17, 2015 issue of CIOReview Magazine to read the full article with Jasmine Panayotov and see the entire list of the 20 Most Promising Web Development and Design Solution Providers in 2015.